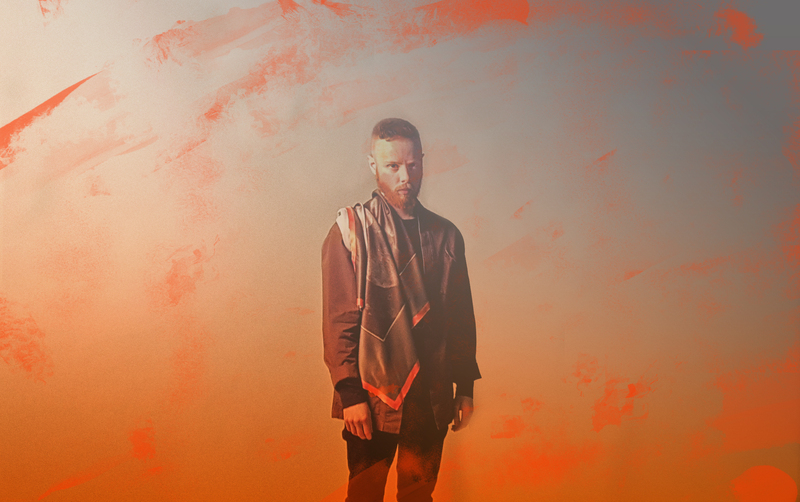 Forest Swords, aka acclaimed Merseyside-based producer Matthew Barnes, returns with his eagerly anticipated new full-length record. “Compassion", the follow-up to 2013's critically lauded debut “Engravings”, will be released on 5th May 2017 via Ninja Tune. The album will be followed by a set of multidisciplinary projects expanding the themes and concepts across wider disciplines, overseen by Forest Swords’ own Dense Truth, an experimental art studio and record label. “Compassion" is a response to the uncertain, aggressive new world we’re experiencing and communicating within, distilling it into a unique sound territory: Barnes' exploration of the mid-point between ecstasy and melancholy, artificial and human feels timely and affecting; a celebration of primal connections, life itself, and an anxious glance at the direction we're heading. The result is an assured, compelling, vital body of work, tying together the ancient and future: weaving swathes of buzzing digital textures, field recordings, clattering beats and distorted jazz sax with fizzing orchestral arrangements. "Like many, with all that's been going on since I started making the record, I've struggled to see any kind of light at the end of the tunnel," says Barnes, "so I realised there's some sort of power in trying to create our own instead”. More than ever, Barnes probes the idea of wordless, ambiguous vocals as means of expression, with melodies and chants unravelling across tracks, cut and bent out of context, age and gender in beautiful new ways. "I'm increasingly interested in the effects the web and media has on the way we think it's acceptable to communicate with each other day-to-day, and that maybe our current language structures aren't doing justice to how complex our emotions and identities are. The idea of flexible future languages, that bends to our needs quicker, excites me”. The 'mixed media' approach extends to the record's packaging and design, all directed by Barnes himself. The 'mixed media' approach extends to the record's packaging and design, all directed by Barnes himself. The visuals intersect many of the albums themes: bodies, connection, language and movement – with the deluxe booklet featuring portraits of first-wave immigrants who travelled from Barnes' home port of Liverpool to New York. There will also be a variety of multidisciplinary projects set to run through his Dense Truth umbrella over the coming year: collaborations across contemporary dance, performance art, publishing, film and music releases. Expanding the creative world he has developed already since his debut album, previous Forest Swords projects include devising, scoring and directing contemporary dance piece ‘Shrine’, composing for the ‘Assassin’s Creed’ video game, collaborating with Massive Attack on their new music, and scoring the first movie made entirely with drones - 'In The Robot Skies’ - which debuted at the BFI London Film Festival.